Hi loves! Enjoying your Sunday? I had a great time with friends last night, and this morning I started with a run in the sunshine. This afternoon I spent the time with another friend, chilling in the sun. I've burned my back a bit but oh well.. Had a great weekend! If you don't know my friend Mimi yet, please make sure you get to know her quickly! Besides having an amazing blog, she also sends amazing packages ;-). I received a whole bunch of pretties around 2 weeks ago, and one of them was Urban Outfitters Pluto. It was because of her stunning swatch I immediately felt the need to HAVE this polish. So she bought me one ♥! It had a tricky formula and I wish I added some thinner before doing almost all nails completely, because it helped very much. I used 2 coats and 1 layer of topcoat, it isn't a hungry glitter so that's great! 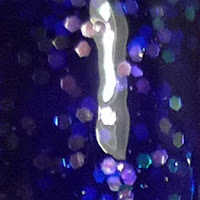 It photographs very differently depending on the light you are using, because the base is so jelly. In real life, it is the more dark color with the glitter floating around. Do you like glitters such as Urban Outfitters Pluto? 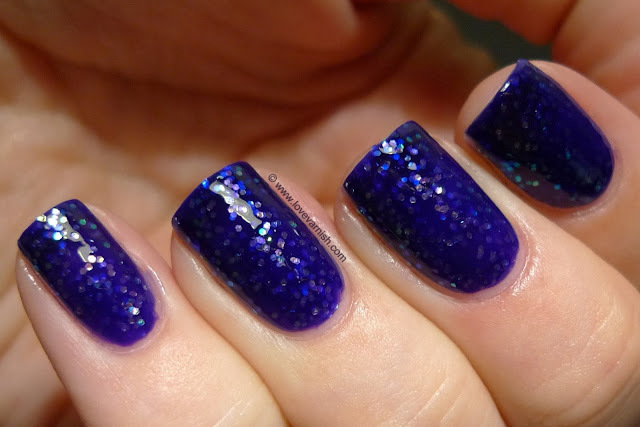 What is your favorite dark jelly glitter? Wow this is a beautiful jelly! 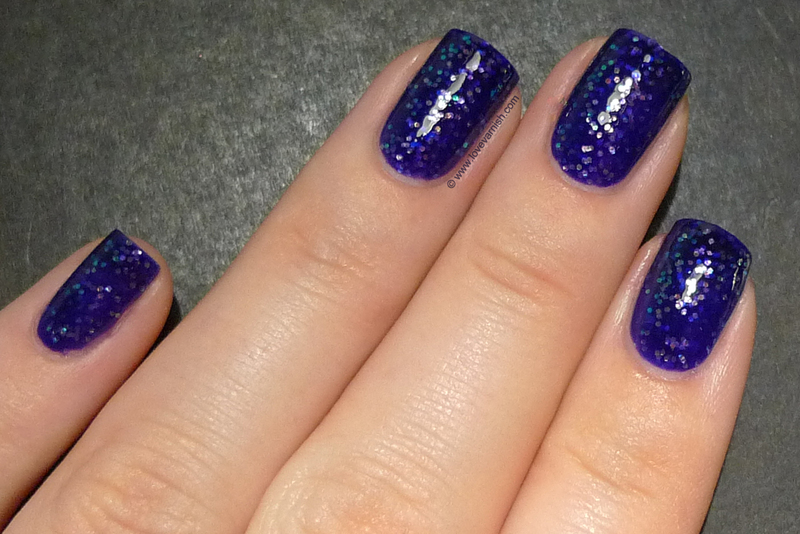 I'm not a huge fan of glitters, this is well known, so I don't have a fave one. It depends on their final look! Thank you! I really liked it too :). Right?! Thanks Amanda! And thank you for being such an amazing commenter :). Yeah I read back your post while using it, so 2 nails on my othe rhand were done with a thinned formula.. way better LOL! 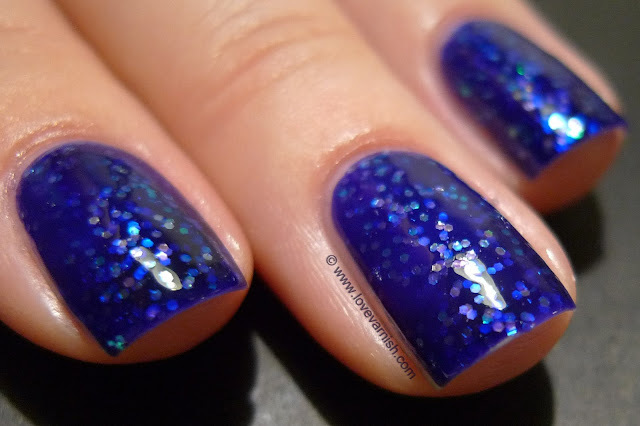 The blue jelly base is right up your alley :D. Glitter ♥.